Over the past months we have talked about the importance of holy desperation for a vibrant faith and living hope. We explained such desperation as an attitude of surrender to God. While holy desperation rubs against the grain of human independence and self-sufficiency, we’ve learned that the kind of faith and hope for which we yearn cannot be earned… it must be given. So, for such a treasure, what can we be but desperate for God to deliver? Yet, we can fall into the trap of believing that just because we understand the importance of holy desperation, we’ll automatically live out this vital quality of heart. Knowledge of desperation is not enough… such understanding needs to grab hold of our hearts. How do we facilitate such a process? How do we maintain awareness of our need to remain daily dependent on God? We begin with the word posture. The way we carry ourselves throughout the day—how we walk, stand, and sit—refers to our posture. 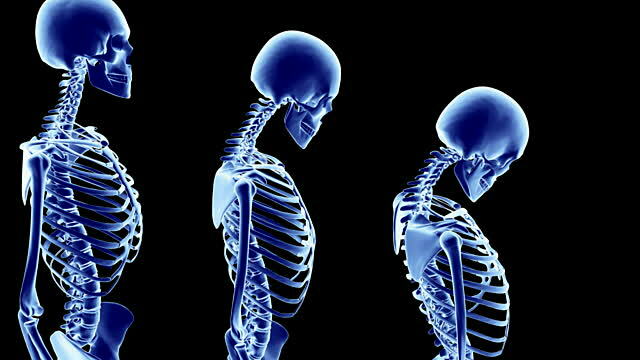 We all know about the importance of posture and few would argue against the need of good posture for healthy living. If you’ve ever tried to change your posture, you also know the importance of daily choices… even the little ones that seem insignificant. Cumulatively, they have the power to transform our bodies… to nurture health and foster wellness. Yet, does posture only refer to our physical bodies? Posture can also relate to our faith. Specifically, it refers to the various attitudes and mindsets by which we choose to live. For instance, is our social life marked by a posture of humility or pride? If pride, Scripture teaches that God will resist us but if humility, he will shower us with grace (James 4:6). God has created us with the ability to either partner with or resist him in our efforts to live as followers of Christ. Just as healthy lifestyles are cultivated through the deliberate implementation of good posture, so too is holy desperation cultivated in a similar way. The most common and practical way we partner with God is through the choices we make and actions we take… every day, all day. I once heard it said that we must do what we can if we want God to do what we can’t. I agree. So, every time we choose to pray, study Scripture, resist temptation, be thankful, love our neighbor, and forgive those who sin against us we are simply doing what we can… doing what we know to do. By such choices we partner with God so that he does what we can’t—strengthen our posture of faith and prepare ourselves for a lifestyle of holy desperation. Next week we begin talking about the important posture of spiritual brokenness… what it is and why it is so important. How would you describe your posture of faith? What kind of choices would help to strengthen and nurture its growth? This material is what I need to read.. I had actually just prayed for God to take my total and all encompassing physical suffering of nearly twenty years, or take me…. I may indeed be in a blessed position of influence in my faith community, and be equally blessed with a rewarding community based ministry, yet still the cry of desperation is virtually hourly… The lack of platitudes and predictable memes in these posts is precisely what I need. Will now continue reading with great interest. Thank you for your encouraging comments. I pray that God will continue to lead you in your walk of faith. Sorry for my delay in getting back with you. By the way, I am working through some technical issues with my blog site. I have the comments function turned off and can’t figure out how you were able to leave me a comment. If you go straight to my site at davidtrementozzi.com you will see that there is no place to leave comments at the end of my blogs. Did you access my blog a different way?